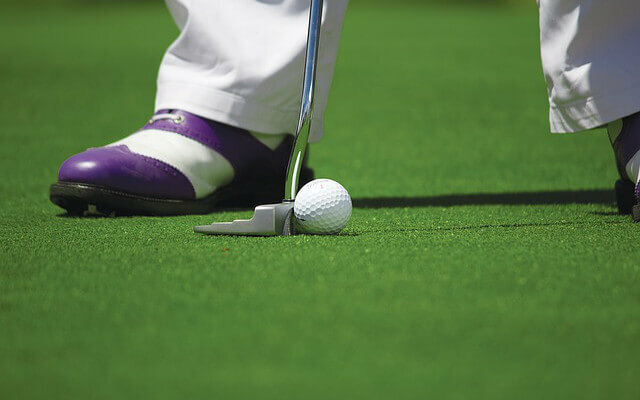 Home » Golf Terms » What Is Moment of Inertia In Golf? What Is Moment of Inertia In Golf? 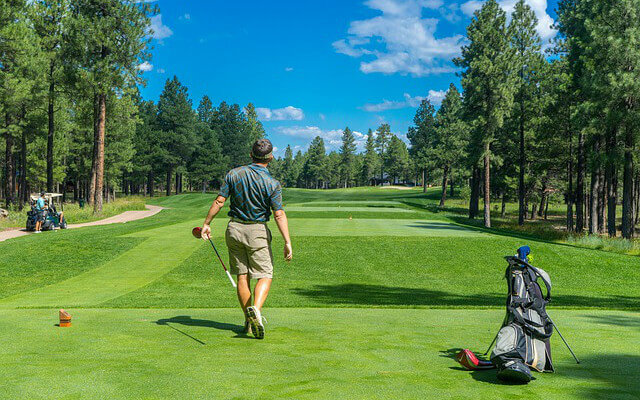 The term moment of inertia or MOI is very popular among golf club manufacturers these days, but MOI is most certainly nothing new to the golf industry. In fact, MOI is a concept that extends further than golf and plays a part in everyday physics. But when it comes to golf, MOI has everything to do with stability and forgiveness of a clubhead. The most basic definition of MOI in golf is the clubhead’s resistance to twisting when it makes impact with a golf ball. The higher the measurement of MOI the more stable and forgiving the club will be, especially on off-centre strikes. A high MOI will help to keep the clubhead more still when a ball hits the heel or toe, and providing the face is square to your target will produce a straighter flight with less distance dispersion. The method of increasing MOI in a clubhead, and this is the case with all 14 clubs in your bag, is to increase the weight around the perimeter of the clubhead, or in simpler terms the edges of the club. This is more commonly referred to as perimeter weighting. In drivers and fairway woods weight is pushed to the perimeter of a clubhead by using very lightweight materials in the crown and sole of the club and by pushing weight further away from the hosel and face of the clubhead. 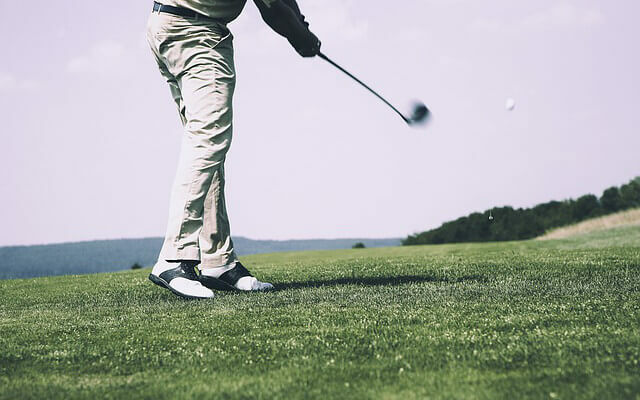 Club manufacturers have in the past used different materials and clubhead shapes to try and achieve a high MOI since moving from clubs made of wood. 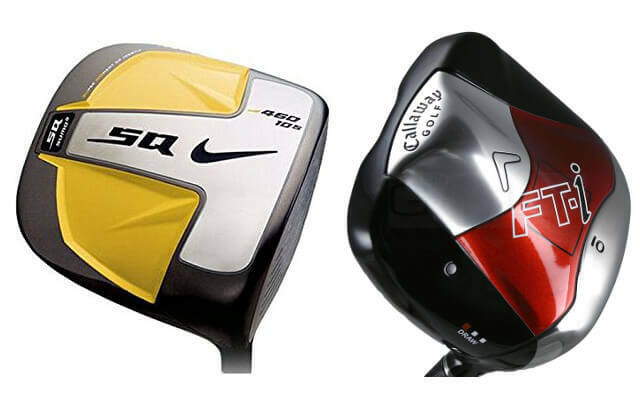 Do you remember the square clubheads such as the Nike SUMO Squared and Callaway FT-I and FT-IQ as well as the triangular FT-IZ designs that were used by the likes of KJ Choi and Ernie Els many years ago? These clubs were all designed to maximise MOI and provide a straighter ball flight no matter where on the face you struck your shot. These days carbon composite materials used in the sole and crown have advanced enough that they are lighter and stronger and therefore allow extreme perimeter weighting in a more traditional clubhead shape that allows for more forgiveness and workability where necessary. Drivers like the TaylorMade M1 and M2 and the Callaway Epic feature these improved materials and advanced designs that push as much weight to the edges of the clubhead and also use adjustable weights in the sole to further enhance the performance of the clubs. Hybrids or rescue clubs are a great example of how perimeter weighting has improved the performance of the long game for professionals and amateurs alike. These clubs feature perimeter weighting in a more compact package that offers both a great forgiveness and plenty of workability to replace hard to hit long irons. Many of today’s utility or driving irons are also more forgiving thanks to the hollow clubhead construction that moves weight away from the hosel and face more effectively. In fact, there are even full irons sets such as the Titleist 718 T-MB irons and TaylorMade P-790 irons that feature hollow construction through the mid and long irons that increases MOI in these clubs. The more common way of producing a higher MOI in irons is using cavities in the back of the clubhead, a concept that has been around for many decades thanks to PING. The brand was even the first to produce a putter with a cavity that increased the MOI. In wedges it’s Cleveland Golf who has pioneered the cavity back design most successfully with the latest Smart Sole 3, CBX and RTX 3.0 CB wedges using this technology in efforts to increase MOI. Putting is where all golfers want the most stability in the clubhead as possible and this is where MOI plays a huge part. Most blade putters aren’t as forgiving on off-centre strikes, however, with adjustable weights in the sole and the popular Anser design there is definitely a higher element of MOI than the classic bullseye putters from previous years. It is in mallet putter designs that we find the highest MOI and this is especially apparent in the Scotty Cameron Futura range. You can actually feel how effective the perimeter weighting is with many of these Futura putters especially the models where there are heavy weights further away from the face. TaylorMade Spider and the Odyssey #7 are also high MOI putters that are designed to be more stable throughout the stroke. As you can see Moment of Inertia plays a large role in all golf equipment design these days and is there to help you enjoy the game more by adding that extra forgiveness on shots that aren’t struck out of the middle of the face. Been hooked on golf since I was 12 and lived on a golf estate while at school. Began to work in Golf Industry during university and spent a year on the Sunshine Tour as a media operator. Subsequently became deputy editor of Compleat Golfer in South Africa for 5 years, specializing in equipment and travel reviews. After that I became a consultant to a major golf chain, testing and reviewing all equipment. Also a Callaway custom fitter and play off a 2 handicap when actually getting the chance to play!